Pakistan and China often speak of their “all-weather friendship,” but the truth is that the relationship has always been a cynical one.Pakistan and China often speak of their “all-weather friendship,” but the truth is that the relationship has always been a cynical one. China cultivated Pakistan as a client through the provision of military assistance; diplomatic and political cover in the U.N. Security Council; and generous loan aid in an effort to counter both American influence and the system of anti-Communist Western treaty alliances. China also sought to embolden Pakistan to harangue India, but not to the point of war because that would expose the hard limits of Chinese support. Despite Pakistan’s boasts of iron-clad Chinese support, when Pakistan went to war with India in 1965, 1971, and 1999, China did little or nothing to bail out its client in distress. The bully of Asia no longer follows the dictum “Speak softly, but carry a big stick”. Having convinced itself of the inevitability of its great power status, China no longer feels the need to speak softly, and likes to brandish the stick whenever it wants to cow down others. Barring the US or EU, China no longer talks to others like an equal. It is the beginning of the arrogance of power for the world’s No 2 superpower. Nothing illustrates this better than China’s recent efforts to test India’s responses in the tri-junction of Sikkim, Bhutan and southern Tibet, where it is building a road from where it can threaten the Chicken’s Neck region of India, which connects India to the rest of the North-East. It destroyed some bunkers on the Indian side, and has trespassed into areas claimed by Bhutan. In the resultant standoff, it arrogantly reminded us of our 1962 defeat. To which, Defence Minister Arun Jaitley mildly retorted that the India of 2017 is not the India of 1962. China has – not unexpectedly – responded that even China is not what it was in 1962, and will take “all necessary measures” to safeguard its territory. The China of 2017 is acting like that T-Rex in Jurassic Park, which tests a different part of the electrified fence each time to check for weaknesses. It tests India repeatedly in areas of weakness, whether it is in Ladakh, or the North-East. In 2013, a platoon-sized Chinese army contingent pitched tents 30 km south of Daulet Beg Oldi and demanded that India demolish bunkers some 250 km south in Chumar as these were reportedly a threat to the Chinese. After a standoff, India appears to have obliged. With the imminent military defeat of the Islamic State in Mosul, the government must find ways to unite to keep the specter of chaos at bay. On June 29, as Iraqi state TV proudly proclaimed "The Myth of the ISIS Caliphate Has Fallen," Prime Minister Haider al-Abadi made his way to western Mosul to give a victory address. On June 29, after months of tough urban fighting, Iraqi forces reclaimed critical pieces of the western part of the city, including the remains of the al-Nuri mosque in the Old City. Like the mosque, the Islamic State in Iraq lies in rubble, but the Mosul offensive has helped rehabilitate the security forces in the eyes of many Iraqis. Yet many battles still lie ahead, including dangerous political ones. While victory in Mosul is close, the fighting is not over. Brig. Gen. Yahya Rasool, a spokesman for the Joint Military Command, confirmed that Iraqi forces had militarily defeated the Islamic State there. Within hours of a dawn assault June 29, Iraqi counterterrorism units had advanced on all major portions of Mosul's Old City, where the tight, densely populated, winding streets filled with deadly clashes. Iraqi forces aim to take the western banks of the Tigris River in the Old City; they have controlled the eastern banks since January. Hostages and weary families emerged from hiding throughout western Mosul, and thousands have yet to be freed. They add to the strain of hundreds of people seeking refuge daily in makeshift camps. While eastern Mosul has resumed the patterns of pre-Islamic State life and many refugees have returned home, the western half is months away from some semblance of normal life because of the destruction and because of hidden improvised explosive devices and other military traps planted by the Islamic State. By ruling out a compromise to end the standoff between the Indian and the Chinese troops at Dok La and placing the condition that India must withdraw its forces for a resolution to happen, Beijing is demonstrating an inflexibility that is injurious to the bilateral relationship. The Chinese Ambassador to India, Luo Zhaoui, says the the ball is in India's court and it is up to New Delhi to decide if it desires a military solution to the crisis. This is being disingenuous. Indian troops didn't enter Chinese territory, but it's the other way round. Moreover, the Chinese Army also intruded into Bhutan's territory, and the Bhutanese Army personnel were compelled to confront the intruders. Besides, this is not the first time that Chinese Army personnel have sought to claim disputed territory as their own — either along the Indian borders or even elsewhere — in the South China Sea. China's expansionist mindset is well known and it has for long followed the tactic of forcefully occupying disputed land and then seeking to negotiate from a position of strength — negotiations that lead nowhere for decades. By placing conditions, Beijing has only made a resolution difficult. India is committed to protecting the sovereignty of Bhutan, besides its own territorial integrity, and there appears to be little scope of New Delhi backing out from this commitment. Prime Minister Narendra Modi and Chinese President Xi Jinping are slated to meet on the sidelines of the forthcoming G20 meet, and it is hoped that the two leaders will be able to find common ground to proceed in a peaceful manner. After completing my first book on Tibet in the 1990s, I looked for a title which could resume the content of my research. At the end of the 19th century, Tibet was a mere pawn in the great game between imperial powers. The 1890 Treaty on Sikkim, today quoted ad nauseam by the Chinese Government, was one of the ‘unequal treaties’ imposed on a smaller nation. Big insects had little consideration for the weak. The story seems to continue today with China building a road on Bhutanese territory without informing Thimphu. But this time, what Beijing had not expected is that India would come to the rescue and defend the small kingdom. China, which dreams of becoming a ‘big insect’ (without the name!) tried to change the status quo in the Doklam area of the Bhutan-Tibet border. The present stand-off is because of Chinese incursion in a region which is disputed territory between China and Bhutan. India has got involved because development in this area has serious security ramifications for India. The objective of this report is to understand the boundary issue, claims of either party (China and Bhutan), geography in the area and Indian sensitivities. The thrust of this write-up is to clear the ambiguity about the exact area, where the present stand-off is taking place, and why India is reacting much more strongly – to the extent of helping to keep the China’s People's Liberation Army (PLA) out of Bhutanese territory. India and Israel achieved independence in 1947 and 1948 respectively, and both were beset with the problems of partition. India recognized Israel de jure in 1950, but diplomatic relations commenced only in 1992. The Oslo peace process between the Israelis and the Palestinians, the importance of closer relations with the United States of America after the collapse of the Soviet Union, and the diminishing sensitivity of the main Indian political parties to Muslim vote-bank politics - all played their part in creating the diplomatic opening. This year, the 25th year of this diplomatic relationship, is being marked by the first visit by our prime minister to that country. The presidents of Israel have been in India twice and its prime minister once, while President Pranab Mukherjee visited Israel in 2015. Bilateral ties have flourished even in the absence of many high-level exchanges, irrespective of the nature of governments in New Delhi and Tel Aviv. 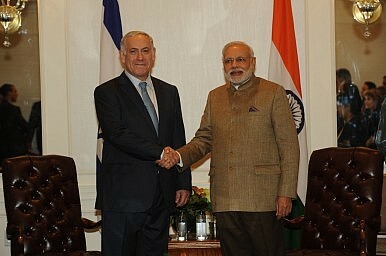 Narendra Modi has met Israel's prime minister, Benjamin Netanyahu, at multilateral meetings and their personal chemistry has been good. Modi had visited Israel as Gujarat's chief minister, and since becoming prime minister in 2014, has made it very clear that he does not subscribe to the previous inhibitions about an open friendship with Israel. While Israel has a population of only around nine million, it is advanced in technology and has more companies listed in the New York Nasdaq technology index than any developing country. This is because it is highly skilled in military-security hardware, recycling, desalination, bio-technology, water management, healthcare, communications, pharmaceuticals and non-conventional energy. These are all relevant for India's development and Indian private and public companies should consider outright purchase, or failing that, investment to access Israeli technology as high priority. A trade agreement has been under negotiation since 2010, and with total trade standing at about $5 billion, India is Israel's seventh biggest trade partner. There is longstanding cooperation between the diamond industries of Israel and Gujarat. In India, under a science and technology agreement, there is joint research in biotechnology, lasers and the human genome, and 15 Israeli agriculture centres have been set up in 10 states. Thousands of tourists travel in both directions each year and there are 70,000 Indian-origin Jews living in Israel. BHAI BHAI: Build on the recent Narendra Modi- Xi Jinping friendly meeting held on the sidelines of the Shanghai Cooperation Organisation (SCO) summit in Almaty. The latest face-off between the Indian and Chinese security forces in Doklam, where the borders of India, China and Bhutan meet, brings a sense of déjà vu. There was a similar extended face-off in the Depsang area in Ladakh in April 2013. There have been other incidents as well but the mechanisms in place to maintain peace and tranquillity at the border have eventually worked and the issues have been resolved. Both sides have remained committed to preventing escalation. One hopes that the Doklam incident will not be allowed to vitiate the relationship between the two countries, particularly in view of the fact that Prime Minister Modi and Chinese President Xi Jinping reportedly had a friendly meeting on the sidelines of the recent meeting of the Shanghai Cooperation Organisation (SCO) in Almaty. Both leaders made a special effort to put relations back on a positive track after a somewhat prickly interlude, which included India's refusal to join the Chinese-led One Belt One Road initiative. 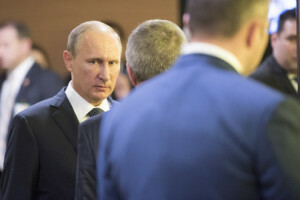 This turnaround in relations must not suffer a setback as a result of the latest incident. This may impact the prospects of a possible bilateral summit when the leaders attend the forthcoming G-20 summit in Hamburg. New nuclear power has become increasingly uneconomical in the West but electricity from Indian-made reactors is still competitive. The Indian government recently approved the construction of 10 commercial nuclear power reactors of indigenous design, initiating the largest nuclear building program in the world since the 2011 Fukushima disaster in Japan. The global nuclear power industry is still reeling from that calamity: Just three of Japan’s 42 reactors are currently operating, while France — the poster child for nuclear power — plans to cut its reliance on atomic energy significantly. New nuclear power has become increasingly uneconomical in the West, in part because of rapidly spiraling plant-construction costs, prompting the U.S. and France to push reactor exports aggressively, including to “nuclear newcomers” such as the cash-laden oil and gas sheikhdoms of the Arabian peninsula. Still, the bulk of the new reactors under construction or planned worldwide are located in just four countries — China, Russia, South Korea and India. The Indian decision to turn to a “fully homegrown initiative” reflects the continuing problems in implementing a 2005 agreement on nuclear power with the U.S. Nine years after the U.S. Congress ratified the landmark deal, commercialization is still not within sight. America must privately quash any expectation by the Afghans that the West will stand by it should its government fail to make necessary reforms. As the U.S. government considers whether to send more troops to Afghanistan, the real issue is what political outcome we’re plausibly trying to achieve? Military force is useful only as a means to achieve a political end. Today, the Trump administration is debating whether to send four thousand additional troops to the country. Secretary of Defense Jim Mattis indicated to Congress that a new deployment would aim to bolster U.S. air-power capabilities and to strengthen the train, advise and assist mission. How realistic is that hope? In 2010 and 2011, the United States had one hundred thousands troops in the country. Led by able commanders such as Stanley McChrystal and David Petraeus, success proved elusive. Before we commit more blood and treasure to this conflict, the United States needs to ask hard questions. Jim Mattis earned high respect as a military commander. I express no opinion on military strategy. But a successful outcome to this conflict will turn on political dynamics. Expanding the U.S. military presence makes sense only as part of a realistic political strategy that offers a plausible possibility of stabilizing Afghanistan and the region, and keeping both the Taliban and ISIS from winning. A Taliban victory is unacceptable. During the 1990s, it focused internally on Afghanistan. Secretary of Defense Jim Mattis went to Brussels last week to convince NATO allies to send around 3,000 more troops to Afghanistan, where they will likely join between 3,000 and 5,000 more American troops expected to be sent there (that’s in addition to the more than 8,500 US and 5,000 other NATO troops already in country). You might be forgiven for feeling some déjà vu. You might also be forgiven for being surprised to hear that we’re still in Afghanistan. And you’d most definitely be forgiven for wondering why. The reasons that the United States first sent troops to Afghanistan almost 16 years ago—to hunt down Osama bin Laden and al Qaeda in response to the 9/11 attacks on the World Trade Center and the Pentagon—no longer hold. Special Forces assassins killed Osama bin Laden six years ago in his house in Pakistan. Al Qaeda is a shadow of its former self, and while according to some accounts the organization maintains a presence in Afghanistan, it’s probably only there because we are, much like the cadres of ISIS-affiliated terrorists who are said to be behind a recent series of attacks in Kabul. U.S. soldiers in Islamic countries tend to draw jihadists like honey draws flies. 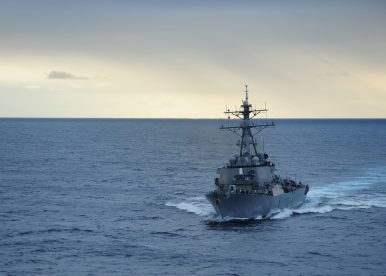 On Sunday, a U.S. Navy Arleigh Burke-class destroyer, USS Stethem, sailed within 12 nautical miles of a China-occupied island in the South China Sea. Specifically, the U.S. Navy destroyer sailed near Triton Island, a China-held island in the disputed Paracel group, also claimed by Taiwan and Vietnam. Sunday’s operation marks the second freedom of navigation operation (FONOP) by the Trump administration since the late-May operation by USS Dewey near Mischief Reef, which is one of China’s seven artificial islands in the Spratly Group. According to reports, USS Stethem sailed within 12 nautical miles of Triton Island on Sunday. Though the U.S. Navy has not released any official details regarding what excessive maritime claims the operation sought to challenge, there is precedent for an operation at Triton Island. The United States previously conducted a FONOP near Triton Island in January 2016, when USS Curtis Wilburchallenged China’s prior notification requirements by conducting an innocent passage around the feature. The Paracel Islands present a different case from the Spratlys because China has long maintained illegal straight baselines around its features. It has additionally occupied the Paracel features since the 1970s. North Korea’s missile launches in February, March and April of 2017 came during a period of heightened tension between the US and North Korea, and the implosion of two of them seconds after being launched brought speculation as to whether the USor China was responsible for their sabotage. Both the US and China have electronic and cyber warfare capabilities and programs designed to use electromagnetic pulse weapons to attack, protect, and support military operations. North Korea also has electronic and cyber warfare capabilities. Although there has been no speculation as to whether some of the failed missile tests over the years (or those conducted recently) were actually North Korea’s testing of a High Powered Microwave (HPM) device, fears have been uttered of its ability to use High Altitude Electromagnetic Pulse (HEMP) weapons, deliverable through its long-range missiles, against the US. The proposal for a pan-European defence force has been in the public domain for quite some time. As early as 1950, Winston Churchill, the then British Prime Minister, had for the first time proposed a ‘European Army subject to proper European democratic control’. This did not fructify owing to opposition from France. Recently, in March 2017, the European Commission President Jean Claude Juncker spoke favourably about a European Union Army (EUA), inter alia, recommending the need for support structures, in the context of obtaining greater integration within the European Union (EU) on defence and security matters. However, Juncker has also struck an ambivalent note by mentioning that ‘a EUA is not a project [to be immediately pursued] for the future`. Neither the objectives for setting up a EUA nor the framework within which it will operate are clear. There has been strong resentment on this issue from Britain — now on the way towards exiting the EU. There have also been contrasting views from some EU members, with opposition from East European countries such as the Czech Republic, Hungary, Poland, Slovakia, Lithuania, Latvia and Estonia being particularly significant. France and Germany are, however, in support of the initiative. French president Emanuel Macron has optimistically observed that a EUA will provide strategic autonomy to the EU bloc. The liberal international order cannot survive the unraveling of strong national communities that are the baseline of democratic government. It is not difficult to recognize that the West is in flux. Eight months after the presidential election in the United States, partisan rancor has reached a fever pitch and continues unabated. Europe seems trapped in a collective leadership paralysis in the face of the greatest mass migration crisis since 1945. Public anger against elites keeps rising. The people seem less and less willing to listen to the explanations and admonishments of their leaders and the media, nor to accept that their nations are merely a transitional phase before the emergence of a multicultural, globalized world. Beneath the popular resentment and frustration bubbles a longing for a vanishing sense of community, mixed with an often deeply felt democratic impulse to reclaim ownership of the state. Signs of a popular rebellion across the West abound. The Brexit vote in the United Kingdom, the Trump movement in the United States, and the emergence of national and populist parties across Europe (though their support fluctuates) are all symptoms of a deeper yet seldom articulated structural problem that has been straining democratic politics in the West: the progressive fragmentation of the nation-state. A February Department of Defense Science Board (DSB), Task Force on Cyber Deterrence reports, "The United States faces significant cyber threats from a number of potential adversaries, most notably from Russia, China, Iran, North Korea, and terrorist groups including the Islamic state of Iraq and Syria (ISIS)." It further warns, "A large-scale cyberattack on civilian-critical infrastructure could cause chaos by disrupting the flow of electricity, money, communications, fuel and water. Thus far, we have only seen the virtual tip of the cyberattack iceberg." The DSB study determined, "In one sense, the United States has a campaign underway today to deter cyberattacks — but to date, that campaign has been largely reactive and not effective." Its task force counselled, "Although progress is being made to reduce the pervasive cyber vulnerabilities of U.S. critical infrastructure, the unfortunate reality is that for the next decade, the offensive cyber capabilities of our most capable adversaries are likely to far exceed the United States’ ability to defend critical infrastructures." These threats will rapidly become worse "in coming years as adversary capabilities continue to grow rapidly." Making matters worse: "The introduction of massive numbers of digital sensors (the so-called Internet of Things), processors and autonomous devices of today’s Internet will only exacerbate an already tenuous posture and make defense even more challenging in the coming years." While Islamic terrorism continues to dominate the news, it is but one example of an ancient curse that has reappeared recently in multiple forms; calls for the revival of empires. Some of these efforts are more media friendly than others but all share the same characteristics; mobilizing popular support for rebuilding lost empires. There are numerous examples. The most obvious one (the Islamic caliphate) grabs most of the headlines because Islamic terrorism has been a common symptom of desperate, longshot efforts to restore the caliphate for a long time (over a thousand years). As a religion based empire (“Islam” literally means “submission”) that has been hostile to any kind of progress (especially technology, economic or religious) past revival efforts have been unsuccessful. Thus the quick and brutal demise of ISIL (Islamic State in Iraq and the Levant) because it also tried to use self-righteous fanaticism as its primary weapon and motivation in a world that was largely hostile to such a brutal and simplistic ideology. ISIL was one of the few Islamic radical movements that mobilized nearly all Moslems to unite and violently oppose it. Yet even with ISIL gone (or suppressed) there are plenty of other Islamic empire revivalists who all seek to not just make Islam great again but to do it on a global scale. On June 26 an Apache helicopter successfully tested a high-energy laser pod on targets at the White Sands testing range in New Mexico—the first laser weapon ever employed by a helicopter. As much as laser-armed helicopters might seem like they belong in a Command & Conquer video game, in reality they are joining a wide variety of ground-, air- and sea-based laser platforms—many of which may be entering service in the coming decades and a few of which are already operational. In fact, a new era of laser warfare may soon be dawning, thanks to lasers’ usefulness for countering two important weapons systems: drones and long-range missiles. Films like Star Wars depict laser weapons as emitting short pulses of green and red light. However, the “phasers” depicted in Star Trek in the 1960s were arguably a bit more accurate. Real laser weapons project a coherent ray of directed photons (light) that strike their target virtually instantaneously. This beam often streams into the target for several seconds or longer as thermal energy builds up to destructive effect—although some “pulsing” lasers also exist. However, unlike the weapons in Star Trek, the rays from high-energy antimaterial lasers for use in the atmosphere are silent and generally invisible, as they usually operate at an optical wavelength indiscernible to the human eye. And today’s laser weapons are more likely to burn a hole in a target or cause it to combust, rather than vaporizing it. Why use a laser instead of a bullet, shell or missile? To begin with, lasers are highly accurate and quick acting, since they are fast as light and mostly unaffected by gravity. This could make them ideal for swatting down small, speedy targets, such as incoming rockets and artillery shells. Laser precision could also be handy for disabling ground or sea vehicles without killing their occupants. Of course, a soundless, invisible and recoilless weapon is also pretty stealthy—if you can get close enough to use it. On 27 January 2011, Raymond Davis had killed two armed men on a busy street in Lahore, who, according to the inside sources of Pakistan’s intelligence, were its “assets.” Minutes after the shooting, an SUV rushing to Davis’ aid from the American consulate in Lahore had crushed another bystander to death. Recently, Raymond Davis has published his memoirs titled: “The Contractor: How I landed in a Pakistani prison and ignited a diplomatic crisis,” in which he has narrated all the gory details of the shooting, his time in prison and the subsequent release under a settlement with victims’ families, but has painstakingly avoided any mention to his role as the CIA’s acting station chief in Islamabad or to his job of tracking Osama Bin Laden’s couriers. In his last year’s May 5 report , Greg Miller of the Washington Post posited that Mark Kelton, the CIA station chief in Islamabad at the time of Bin Laden’s killing in Abbottabad, was poisoned by Pakistan’s military intelligence due to Kelton’s role in the assassination of Bin Laden. To many military commanders, The Law is not a neutral thing. It has allegedly 1) ‘handcuffed’ them from combat success; 2) interjected ‘counterproductive hesitancy’ into operational environments; and 3) become a ‘weapon’ used by enemies of the West. There might be some truth to these charges, observes Charles Dunlap, but they miss the ultimate point. Today’s wars are being fought in law-rich environments where globalization is busy creating new legal frameworks and norms. Here’s Dunlap’s primer on the lawfare that exists today. For many commanders and other military leaders, the role of law in twenty-first century conflicts is a source of frustration. Some think it is “handcuffing” them in a way that is inhibiting combat success. For others, law is another “tool that is used by the enemies of the West.” For at least one key ally, Great Britain, law seems to be injecting counterproductive hesitancy into operational environments. All of these interpretations have elements of truth, but at the same time they are not quite accurate in providing an understanding of what might be called the role of lawfare in today’s military conflicts. This is Part II of a four-part series exploring what U.S. Cyber Command will need to operate on its own, separate from the National Security Agency. Given the two distinct — yet sometimes similar — mission sets of U.S. Cyber Command, a war-fighting organization, and the National Security Agency, an espionage organization, separate infrastructure, tools and training is needed for the former to operate on its own. For CYBERCOM to meet the stipulations of current law (as discussed in Part I), which are unlikely to change in future years’ legislation given the stern opposition from influential lawmakers regarding a premature NSA-CYBERCOM split, the organization will need its own infrastructure on which to conduct its operations. PART I: What is needed to split NSA and Cyber Command? This effort is currently spearheaded by the recently established Capabilities Development Group, which plans and synchronize capability development for the joint cyber force and whose No. 1 goal is developing the Military Cyber Operations Platform, or MCOP. MCOP is “essentially the sum total of the portfolios we manage,” said Keith Jarrin, executive director of the Capabilities Development Group at CYBERCOM.